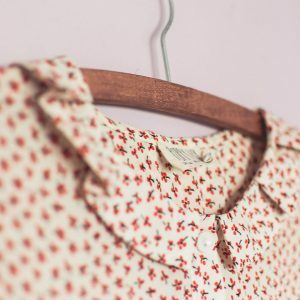 Get dressed up! 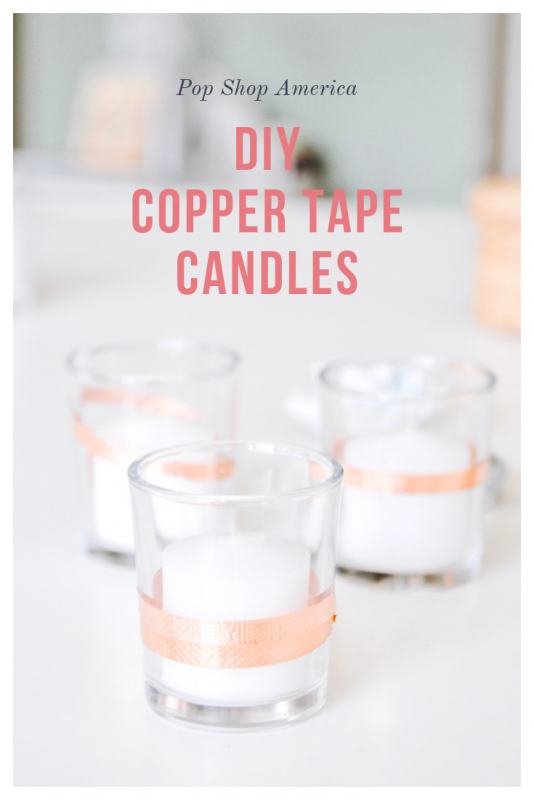 These Copper Tape Candles are so easy to make and give a fresh pop of color. How much do you love rose gold and copper? Because it’s so hot right now. So let’s get to making them! 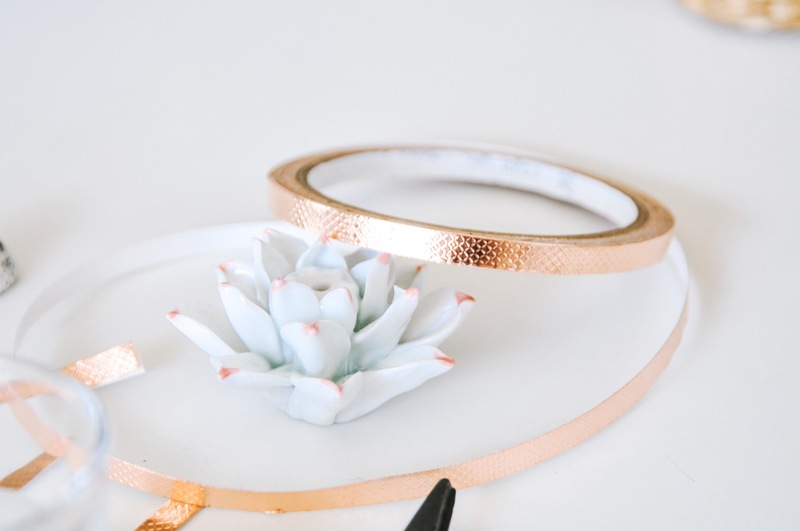 Copper tape is really pretty but there’s something important to know before you get started. Be careful of creating wrinkles because they show. For example if you attach it to a surface without being too careful or if you bend it a lot when working with it, those can be noticeable. So work carefully. 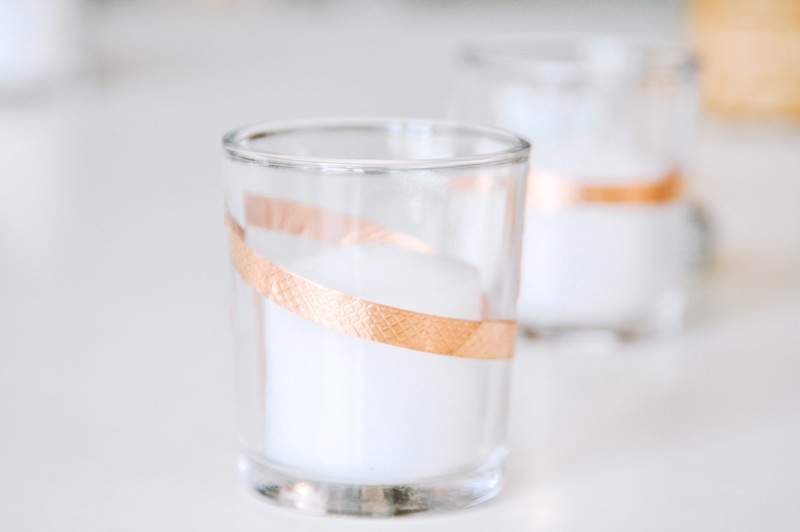 As far as how to create these Copper Tape Candles, you will want to wind the tape around the glass vessel into interesting shapes. Stripes and lines are just perfect with this material. Start with a small section of tape. Peel the backing and work in one direction. Be cautious, move slowly and keep a straight line. If you line starts to get warbled, gently lift the tape and try pressing it down again. 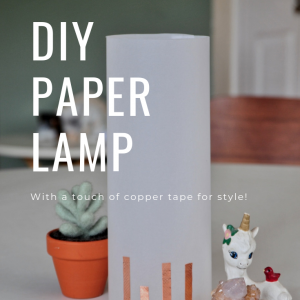 Copper tape is not super sticky. 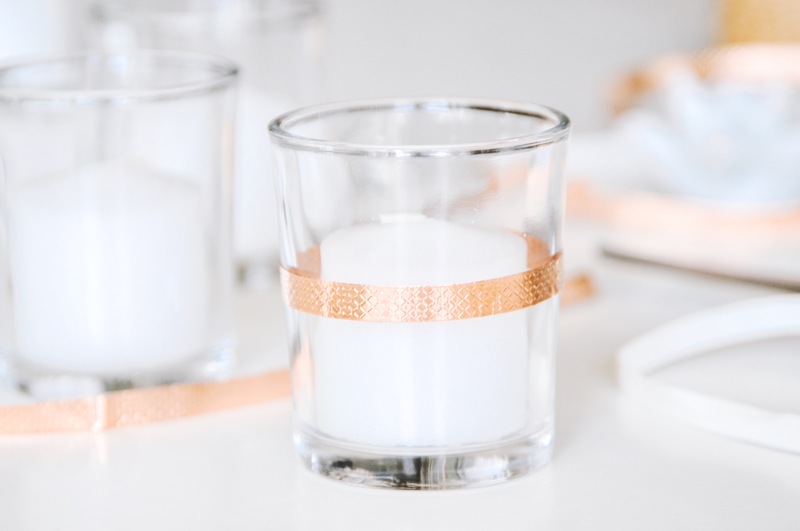 Although it adheres to the glass perfectly, you will need to press every bit of the tape down firmly for it to hold in place. Try lines at a steep angle. Try cutting small pieces of tape off evenly and making stripes. Or just make simple circles that go all the way around the glass vessel. 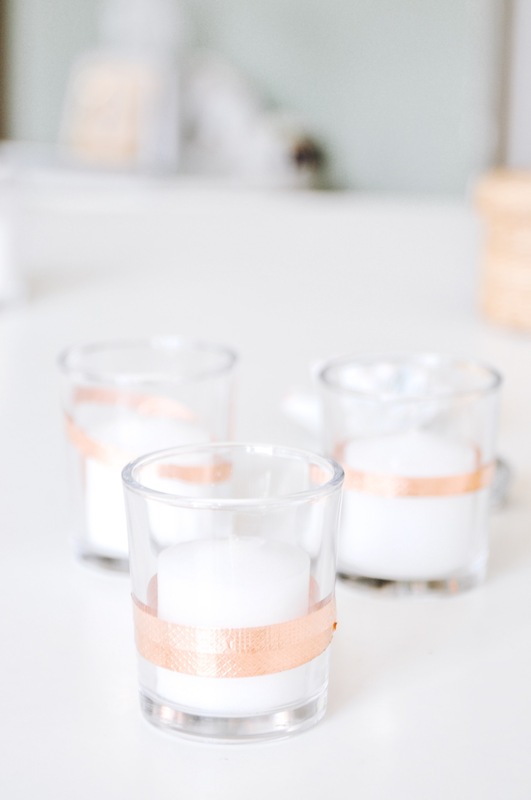 And now show those candles off to the world! They are too gorgeous to not be noticed. 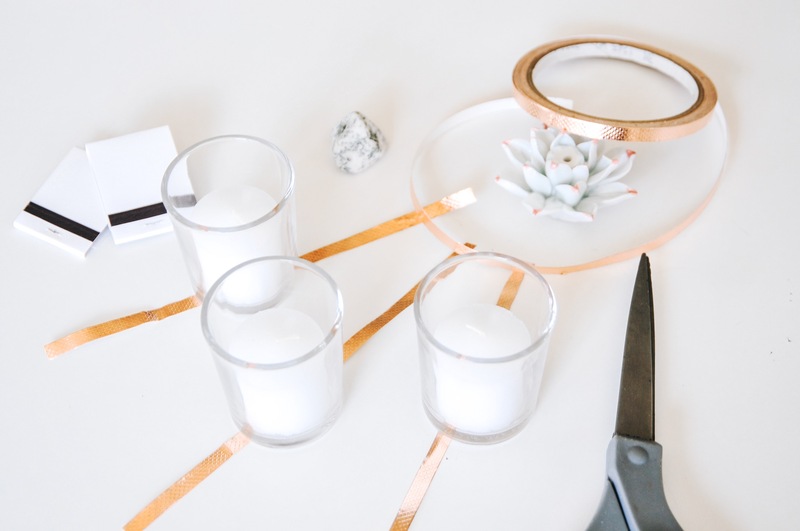 And if you love these DIY Copper Tape Candles, don’t miss our Craft in Style Subscription Box! 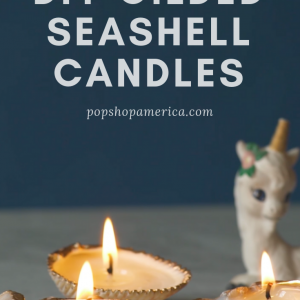 And you can find some other awesome candle tutorials here: Beeswax & Lavender Candles, Floral Smudge Candles, and here are 15 different Candle DIY’s that are all fabulous.